Former U.S. Secretary of State Henry Kissinger. The Kremlin considers former U.S. Secretary of State Henry Kissinger as one of the wisest politicians possessing profound knowledge in Russia-U.S. relations, Russian presidential spokesman Dmitry Peskov said on Dec. 27. Peskov thus commented on German Bild newspaper reports that the ex-head of U.S. diplomacy might act as a mediator between Moscow and Washington under U.S. President Donald Trump. "No doubt, Kissinger is still one of the wisest politicians, experts who possesses, among other things, the most profound expert knowledge both in the sphere of Russian affairs and in the sphere of Russia-U.S. relations," Peskov said. According to the Kremlin spokesman, "if this expert knowledge and the richest experience accumulated over decades somehow come to be needed, we would only welcome this." "But, of course, the need for and the use of this experience are not our business as this is the matter of U.S. colleagues and we can’t interfere in this," Peskov said. 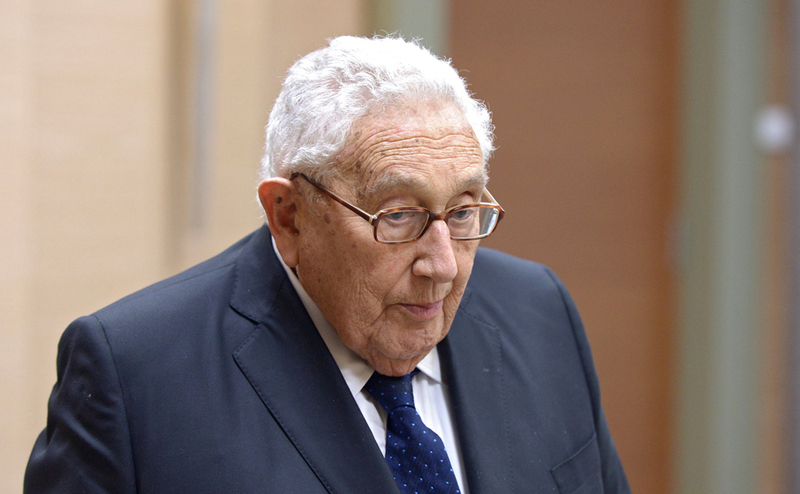 Ninety-three-year-old Kissinger held the post of the U.S. national security adviser in 1969-1975 and worked as the U.S. Secretary of State in 1973-1977. He is one of the ideologists of the detente policy. Kissinger was awarded the Nobel Peace Prize for his role in concluding the Paris Agreement to end the war and restore peace in Vietnam.